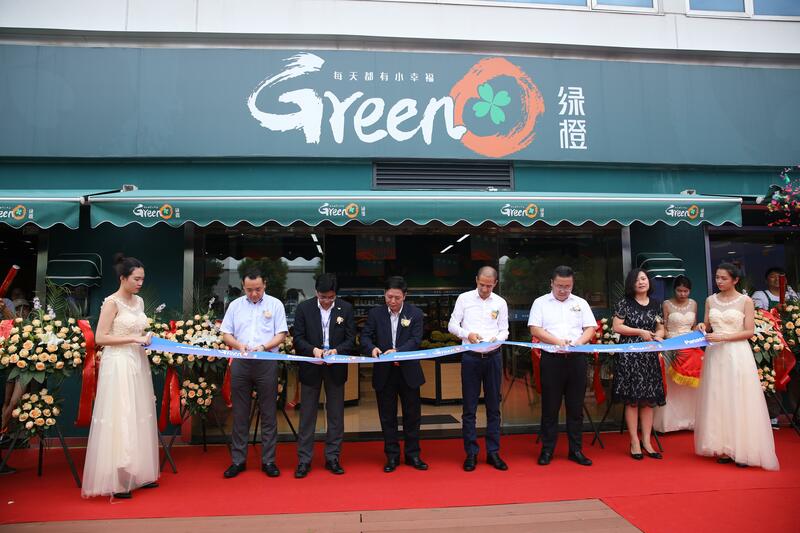 Hangzhou, China - On August 22, 2018, "GreenMart," an unmanned supermarket established by the strategic partnership between Panasonic and the Greentown Group, made a grand debut at Hangzhou Panasonic Industrial Park. "Face recognition door, self-checkout, 24-hour operation, unmanned shop" - these futuristic phrases are now a reality in the park. 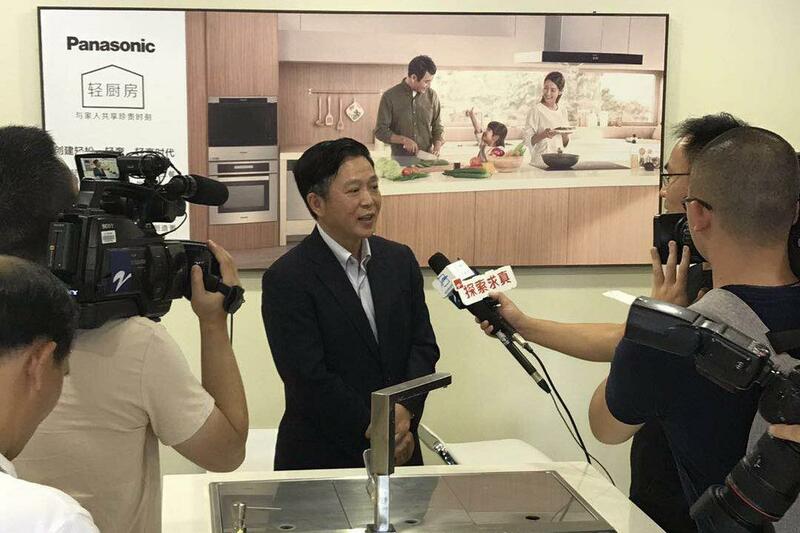 On the opening day, President Wu Liang of Panasonic Home Appliances (Hangzhou) Co., Ltd. (PAPCN), Vice President Nobuyuki Shimobayashi, and Chief Accountant Shinichi Kameda attended the ribbon cutting ceremony. 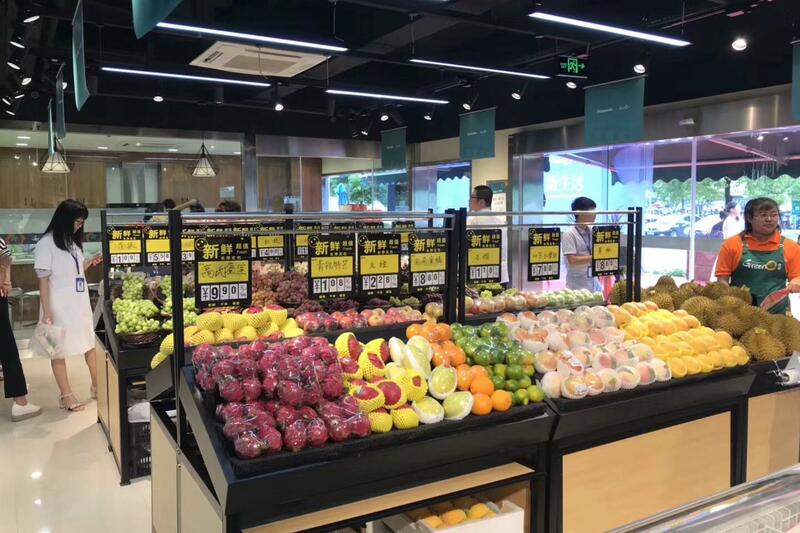 GreenMart plus at Panasonic is the first unmanned general shop, which serves mainly as a fresh food supermarket but also functions as a convenience store and restaurant, to have opened in Hangzhou Economic and Technological Development Zone. 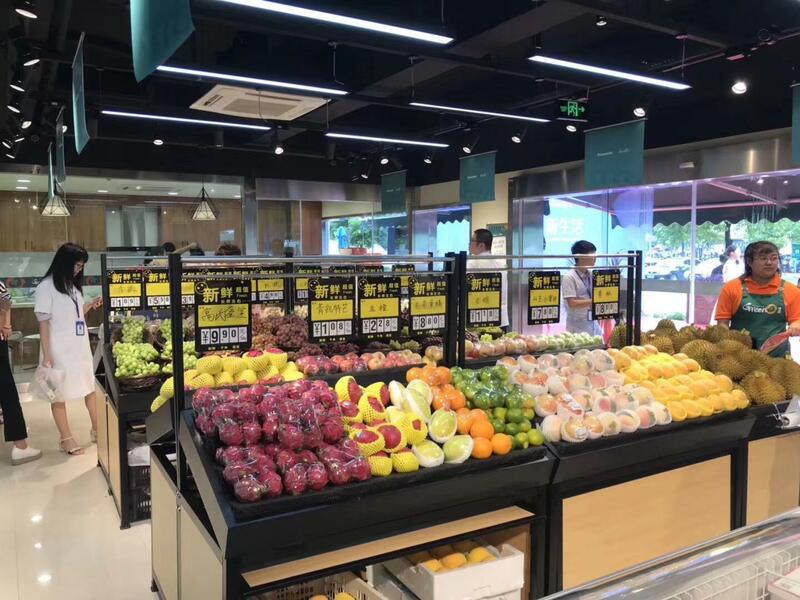 The shop sells about 500 kinds of foods ranging from ordinary food and drinks to fresh vegetables and fruit, frozen food, and eggs. It covers an area of 400 m2, including a 120 m2 area for the shop building, a 30 m2 zone for Light Kitchen experience and a 250 m2 lounge for customers. The Light Kitchen experience zone is complete with a line of Panasonic products, such as steam ovens, induction heaters, and dishwashers. Customers can use Panasonic products here in their hands-on experience of the Light Kitchen concept. 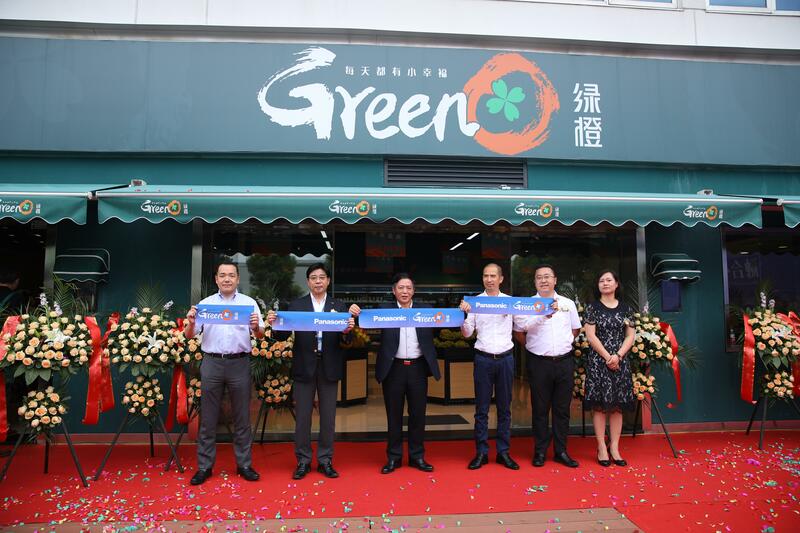 The "cross-border cooperation" between Panasonic and the Greentown Group realized in this project is the first international partnership. GreenMart plus at Panasonic is a custom-made shop designed to satisfy Park's employees' practical needs. Integrating "products and experience" with Panasonic's Light Kitchen concept, the store offers a better working environment to raise the quality of work and life. 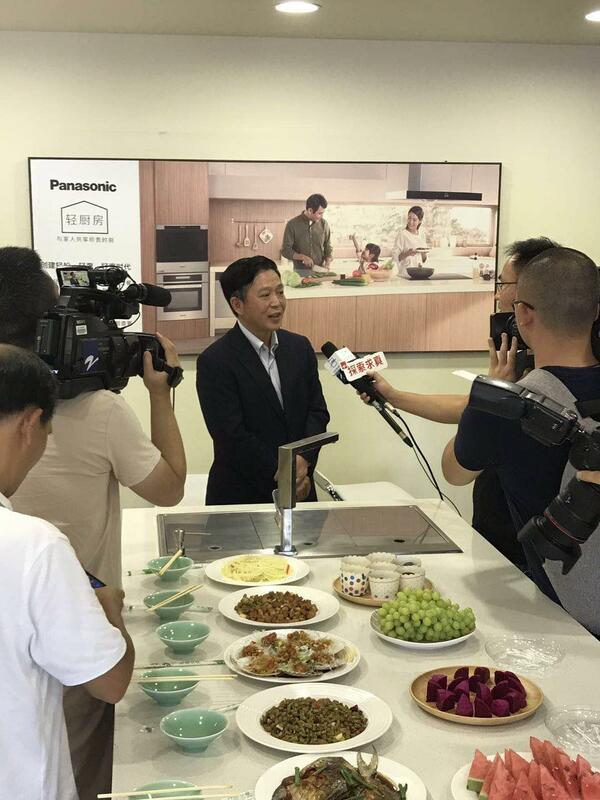 From now on, 5,000 people working in the park will be able to reserve the products they want via a mobile phone application, and process the food they have purchased at the Panasonic Light Kitchen to have delicious meals instantly appear in front of them. Before, they had to leave the office in a hurry after work, buy food on their way home, and cook dinner on arrival. Now with the GreenMart plus at Panasonic, they can have a pleasant dinner with family members at home, and savor the "happiness plus something" in their work and life.